Leasys UK – the contract hire company of FCA Bank (Fiat Chrysler Automobiles Bank) – is celebrating after racking up a five-figure vehicle fleet. The number of vehicles currently in its fleet has exceeded 10,000 in light of rapid growth over the last two years that saw a year-on-year increase of more than 35 per cent in September 2017. Leasys UK says this latest milestone is further proof of the company’s growing status in the automotive contract hire industry, as well as the ever-increasing appeal of paying monthly for the privilege of driving a new car, akin to other monthly contracts for mobile phone, rent, car tax or Netflix. Aside from Fiat and Chrysler, FCA is the umbrella group for car brands such as Alfa Romeo, Abarth, Jeep, Maserati and Ferrari. Roberto Bellavia, head of Leasys UK, said: “I am delighted that Leasys has passed the important milestone of 10,000 vehicles. The company celebrated its 20th anniversary in the UK in 2016, the same year that it was recognised as Britain’s fastest-automotive leasing company by Fleet News’ FN50. 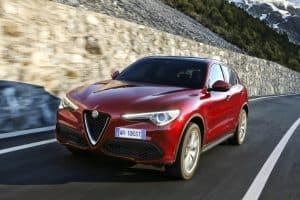 Leasys put this win down to the appeal of its contract hire offers and the rising popularity of the Alfa Romeo Giulia, Jeep Renegade, Fiat Tipo and Fiat Fullback.